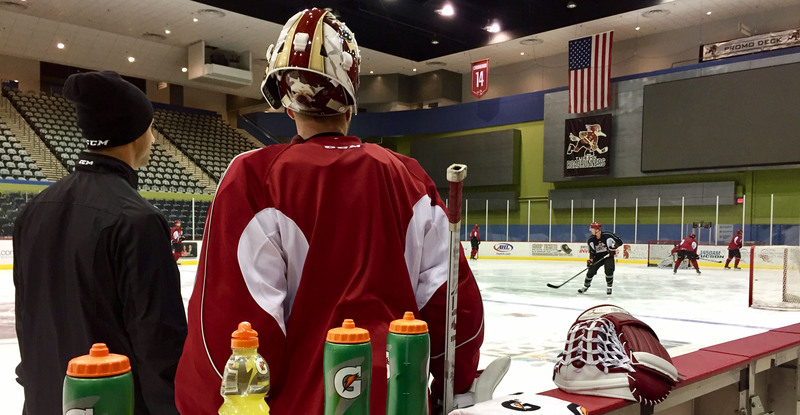 Good morning from Tucson Arena, where Mike Sislo’s goal 2:10 into overtime last night secured the Roadrunners’ fifth post-regulation home win of the season, and where the team held an optional morning skate ahead of this evening’s rematch with the Texas Stars. Tonight, per usual, calls for a 7:05 PM start. 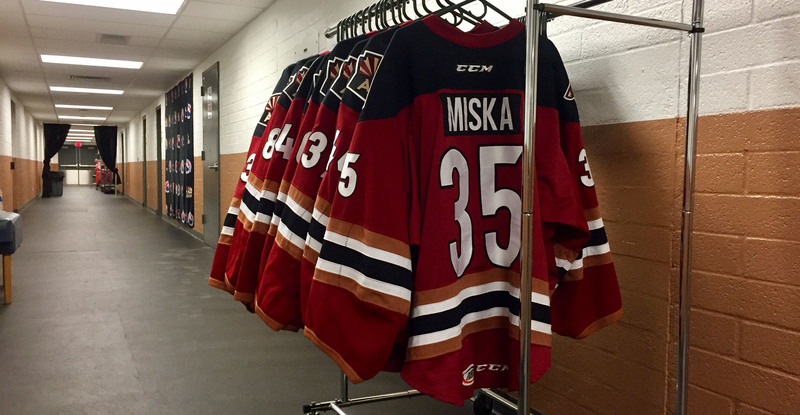 The Roadrunners’ magic number shed a bit of weight due to Friday’s results, it now stands at 24. The Manitoba Moose (21) are the only team in the Western Conference with a lower number. 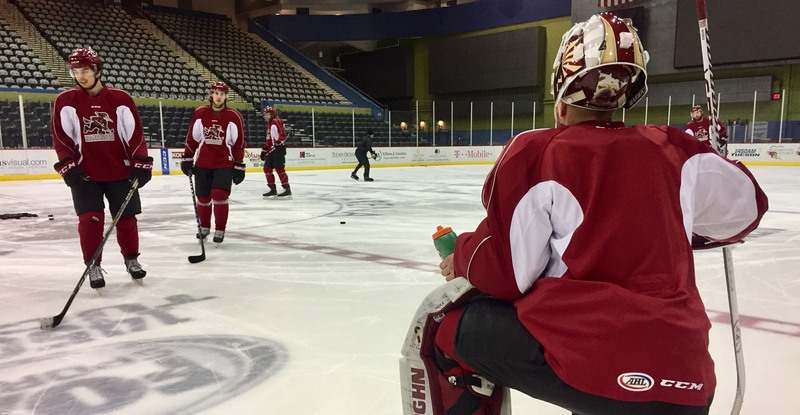 The Roadrunners have earned points in 20 of their 26 games that have been decided by one goal this season, going 15-6-4-1 in those snug affairs. With an assist on Carter Camper’s second period goal last night, Dakota Mermis matched his single-season career-high in points of 13, which he attained during his rookie year in 63 games with the Springfield Falcons in 2015-16. Mike Sislo’s overtime-winner was his third of such this season. He now leads the team in game-winning goals with six. I think at this time of the year, every game is going to be tight, so we’ve got to get used to playing those types of games. We had great goaltending, and special teams is always crucial at this point, so it was nice to win that game. I think it’s almost like a mindset, like ‘we’re going to get it done’. I think we’ve built that throughout the year, that in tight games, we believe we can come out on top most of the time. Whatever that takes, whether it’s blocking a shot, getting a puck deep, or getting that late goal. In overtime anything can happen, but I think we have the right mindset and the right group of guys to get the job done. We’ve talked about that recently. We want to change that. It’s always crucial to be good at home, and especially so at this time of year. Back-to-back wins against a team that’s behind you in the race is big, so we want to separate ourselves from teams like [Texas], so winning two in a row is crucial. They’re fighting for their playoff lives, so they’re going to be putting it all on the line, so we’re going to have to match that and more. Around this time of the year, you almost want to pretend it’s a playoff game just to prepare yourself for the future. We have a younger group of guys, so I think these types of games are good to have going forward, and the playoffs are likely in our future, so it’ll be a good test for them and for the team.